Insertion of genetic information can prompt the body to make antibody-based drugs, offering a fresh approach to treating diseases such as influenza, as well as infections like HIV. Amanda Keener is a freelance science writer in Littleton, Colorado. Outbreaks of infectious disease are becoming more common in many parts of the world. Between 1980 and 2010, the number of outbreaks reported worldwide more than tripled every five years. Unexpected outbreaks caused by viruses such as Ebola and Zika have led researchers to seek faster and cheaper strategies for addressing pathogenic agents they know little about. These strategies include using laboratory-made, monoclonal antibodies that can immediately bind to and neutralize specific viruses or bacteria in a person who has been infected, but also protect, for a time, anyone who is likely to be exposed to a particular pathogenic species. But monoclonal antibodies are expensive to produce, must be stored in the cold and often require repeated administration by injection to work. That’s not to mention the one to two years it takes to grow the cells that produce such antibodies and to purify and test the resulting proteins. 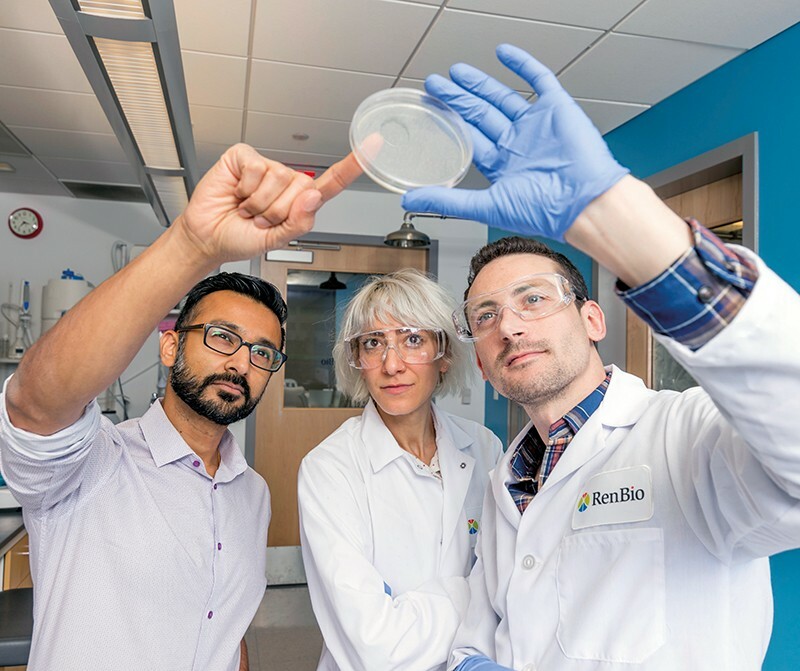 “There’s a short window of opportunity one has to halt an emerging infectious-disease breakout, and making antibodies takes time,” says Neal Padte, chief operating officer at biotechnology company Renbio in New York City. Padte belongs to a growing group of researchers who want to skip those steps by simply giving the body the genetic information it needs to make the antibodies. This can be achieved by delivering the DNA that encodes those antibodies to the cell nucleus — a process called antibody gene transfer. It’s similar to the idea behind DNA vaccines, which deliver DNA that encodes vaccine components to cells. The approaches differ in that DNA vaccines are designed to trigger the immune system to make its own antibodies, whereas antibody gene transfer aims to introduce antibodies without inciting such an immune response. 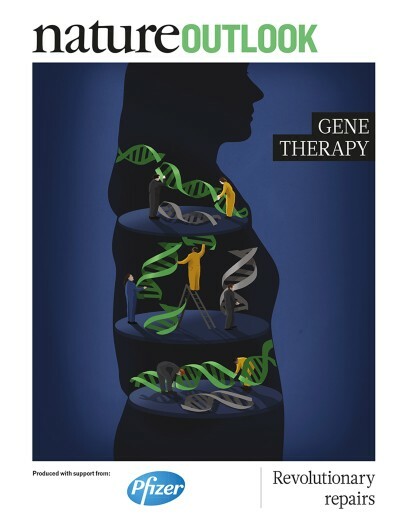 Taking notes from the fields of DNA vaccines and gene therapy, researchers are working to bring treatments based on antibody gene transfer into clinical trials, using infectious diseases as a proving ground. The approach also holds promise for tackling non-infectious conditions such as cancer. “Wherever antibodies work, we believe this technology can work in the same way,” Padte says. 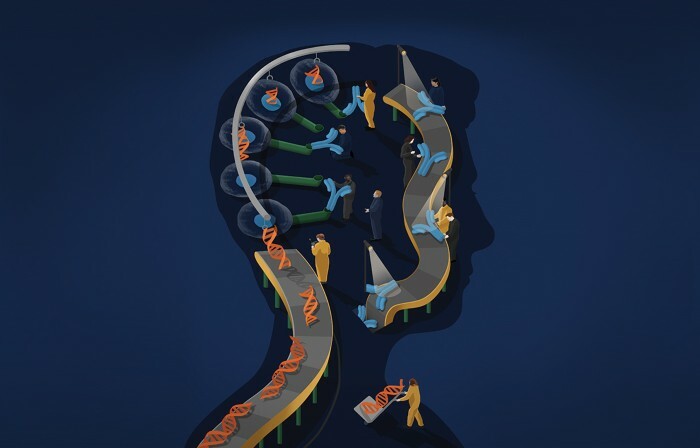 Antibody gene transfer has to overcome the same hurdles relating to safety and delivery as does any other gene therapy, as well as more-specific challenges such as getting cells that don’t normally make antibodies to produce them in large quantities. “We know it works [in mouse models]. You can do it for another thousand disease indications and it will work every time,” says Kevin Hollevoet, an immunologist at the University of Leuven in Belgium. The big question, he says, is whether the approach can be applied to people. David Weiner, director of the Vaccine and Immunotherapy Center at the Wistar Institute in Philadelphia, Pennsylvania, has devoted almost three decades to developing and refining DNA-vaccine technology. But about eight years ago, Weiner realized that his work could make an impact in a very different field. His then-teenage daughter was diagnosed with severe Crohn’s disease, and the only treatment that worked for her was a monoclonal-antibody drug that had to be injected several times a month. Weiner took notice of the fast growth of therapies based on monoclonal antibodies, which include anti-inflammatory drugs such as adalimumab (Humira) and checkpoint inhibitors such as pembrolizumab (Keytruda). “It’s one of the most important fields in biotech,” Weiner says. The drugs that the field produces are also among the most expensive. Costing up to US$100,000 per year of treatment, monoclonal-antibody therapies are out of reach for most of the world’s population. Weiner thinks that gene therapy could make such drugs more accessible. It costs much less to make DNA in the lab than to produce monoclonal antibodies. The approach would also require fewer doses because lab-made DNA can last for weeks to months in the cell nucleus, while continuously instructing the cell to churn out antibodies. Since 2013, Inovio Pharmaceuticals in Plymouth Meeting, Pennsylvania, a company co-founded by Weiner, together with Weiner and his team at Wistar, has been developing a number of DNA-encoded monoclonal antibodies. It started by creating antibodies to tackle viral infectious diseases such as chikungunya and dengue fever and has now broadened its scope to develop such antibodies against antibiotic-resistant pneumonia and two proteins found at elevated levels in tumours of the prostate gland. They are now working on DNA-encoded monoclonal antibodies that mimic antibodies against the Ebola virus from the blood of people who survived infection. Inovio is not alone. Several groups of researchers have produced monoclonal antibodies in mice that can protect the animals from infection and attack tumours. For example, Padte and his collaborators in the United States and China delivered genes that encode the three antibodies that comprise the anti-Ebola-virus vaccine ZMapp, as well as three anti-influenza antibodies, into mice1. The antibodies protected the animals from both Ebola and influenza. The US National Institute of Allergy and Infectious Diseases in Bethesda, Maryland, is testing the delivery of a gene that encodes one such neutralizing antibody, on which Balazs has worked for more than ten years. The trial will evaluate the therapy’s safety in people with HIV. If it goes well, Balazs says, there might be opportunities to check whether the participants’ bodies are converting the gene into the desired antibody. A separate trial, run by the International AIDS Vaccine Initiative in New York City, is testing the safety of another gene encoding an HIV-neutralizing antibody in a cohort of healthy men. The outcomes of both HIV trials will signpost how well antibody gene transfer works in humans. “A lot of people are looking at this very closely,” Balazs says. AAV is also well suited to inserting antibody genes into hard-to-reach organs such as the brain. Crystal and his collaborators used the AAV approach to deliver an antibody that reduced levels of tau, a protein implicated in Alzheimer’s disease, into the brains of mice with another type of dementia2. But AAV, as well as other viruses used in antibody gene transfer, has downsides. It can incite an immune response. And because the virus is grown inside cells, production can be time-consuming and costly. Approaches that leave out viruses, such as Weiner’s DNA-encoded monoclonal antibodies, avoid those limitations. But without a virus to transfer the DNA, cells have to be coaxed into accepting foreign genes, usually by a process called electroporation, in which an electric current is used to create tiny, temporary holes in cells through which DNA can pass. Scancell, a cancer-immunotherapy company in Oxford, UK, has used electroporation to transfer a gene encoding a lab-designed antibody that primes immune cells called T cells to target tumours in people with melanoma. In 2017, the company reported that the treatment safely induced an immune response against the cancer. For an even simpler approach to delivering antibody genes, others are turning to messenger RNA — the molecule that conveys information stored in DNA to the cellular machinery that makes proteins. For reasons not fully understood, mRNA can make its way into muscle cells without the need for electroporation. In 2017, Drew Weissman at the University of Pennsylvania in Philadelphia and his collaborators injected an mRNA sequence for an HIV-neutralizing antibody into mice, protecting the animals from infection with HIV3. The biopharmaceutical company CureVac in Tübingen, Germany, and its collaborators reported success with mRNA-encoded antibodies against viral proteins involved in influenza and rabies, as well as the mRNA-encoded monoclonal-antibody drug rituximab, which is used to treat non-Hodgkin’s lymphoma4. And BioNTech in Mainz, Germany, is experimenting with mRNA as a means of introducing T-cell activating antibodies for cancer immunotherapy5. As antibody gene transfer enters clinical testing for infectious diseases and cancer, some researchers are starting to consider how to make it work for chronic conditions such as arthritis. This is more challenging because people with such disorders often have to switch between monoclonal antibodies to find the one that works best. A therapy that enables the body to produce antibodies for up to years at a time, as can be the case with AAV-delivered genes, would remove that option. “There is the risk that you can’t shut it off,” says Crystal. Balazs and other researchers are working on ‘off switches’ in the form of complementary gene therapies or drugs. But for now, Balazs says, it is still unclear whether approaches that have been successful in mice will work in humans. “We’re asking this one site of muscle to pump out enough antibodies to distribute to the entire body,” says Hollevoet, who is studying sheep to get a better sense of how much antibody the human body might produce. Andrews, C. D. et al. Mol. Ther. Methods Clin. Dev. 7, 74–82 (2017). Liu, W. et al. J. Neurosci. 36, 12425–12435 (2016). Pardi, N. et al. Nature Commun. 8, 14630 (2017). Thran, M. et al. EMBO Mol. Med. 9, 1434–1447 (2017). Stadler, C. R. et al. Nature Med. 23, 815–817 (2017).